So I’ve been working on a super awesome super hero (see what I did?) project recently. It’s going to to look real funky when finished and will be going up for sale real soon. Part of it needed a mini applique using baby stars. I never realized how much of a nightmare it was to find a star pattern that didn’t leave you with a star the size of your nose! After much much fiddling and playing I have finally finished mine. 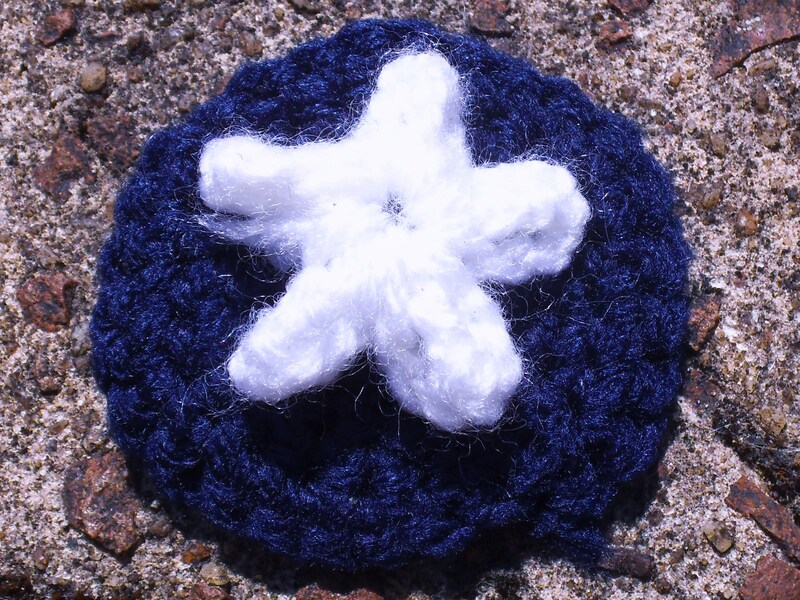 I’ve worked the pattern in 2 parts, shield and star and sewn the 2 together. I’m a massive fan of using up your spare yarn ends so I’m not specific with wool types or shades, using up ends of vaguely the right colour is cheaper and much more satisfying. [x]= this at the end of the line denotes how many stitches you should have if you counted round the circle. If you have trouble keeping count, putting a stitch marker in your first stitch helps a lot. Slip knot wool onto hook, Foundation chain 5, slip stitch into the first chain to make a ring. For this part, we will not be working in rounds or rows, we aim to make 5 points. Each point of the star is worked into the centre ring made and finished. This is what makes it a tiny baby star! 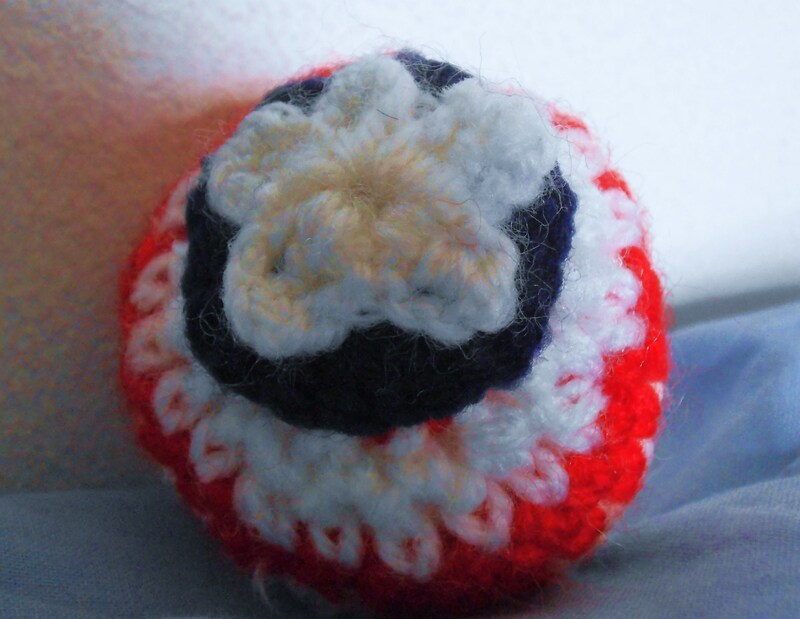 -Chain 3, Triple Crochet into the ring, chain 3, slip stitch into the ring. Do this 5 times, on the last time fasten off. Make sure all ends have been sewn into your work using your knitters needle. 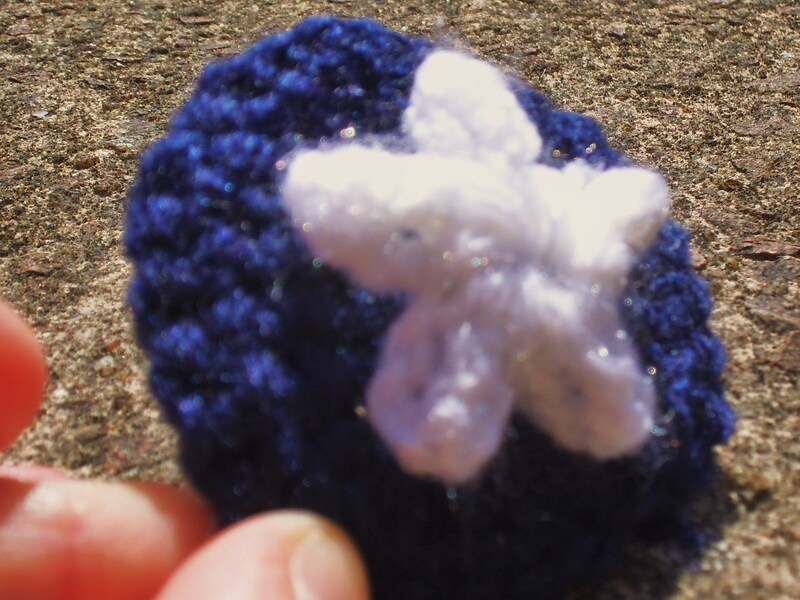 I find it useful to sew round edges to make them sturdier.Use a length of white wool and your knitters needle to apply the white star into the middle of the blue circle made. I find it particularly useful to sew the end of each point individually as well in order to give them extra ‘pointedness’. Trim any leftovers with your scissors. This pattern is also available as a free Ravelry download, (click for link) for those who like me like to add things to the kindle for a later date. Look ouy for our full pattern soon! Happy Crocheting! See you Sunday. So I haven’t blogged in awhile, appologies. It’s been a season of work, learning crafts, cheering up, being social and planning business ventures. The ThreadCetera team have been busy. We have been booking summer craft stalls, making bits and bobs and trying to get ThreadCetera.co.uk ready for public viewing. Needless to point out my lack of technical expertise has been a hinderance! So to make up for this we have made a blog post for every day this week!! Also, if that wasn’t enough crafty enough for you, we will be launching the offical ThreadCetera twitter account, so be sure to follow us! Today mine was rather special. I learned a little bit about my family history and gained an heirloom. I visited my Nana who had heard of my new found love of crochet. She had been digging out her patterns and found my this book, a 20p crochet magazine printed 1966. Vintage! 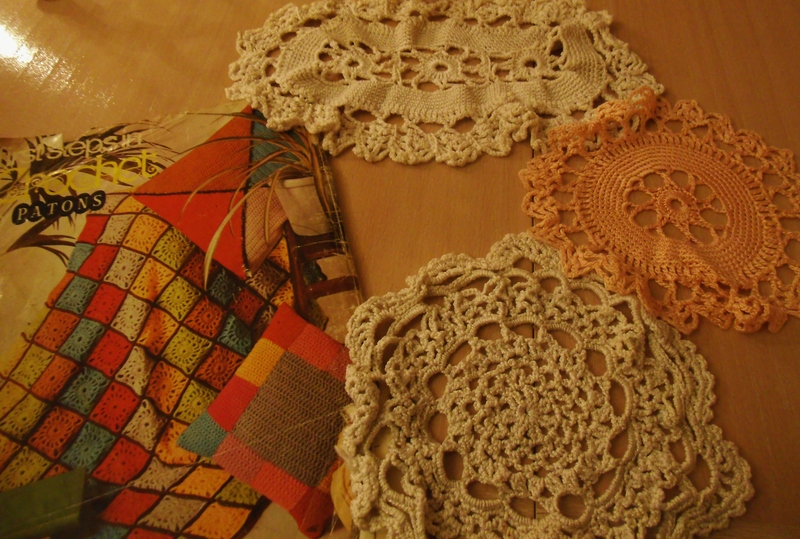 I also have the honor of being able to hold and now own 3 crochet doilies, completed in silk thread. They are beautiful. Completed about 1930-40, they are the work of my great granny- my mum’s, mum’s mum. There are 2 round doilies and 1 oval, I’m really intrested in the oval. It’s very intricate. It’s lovely to know something I love doing now has been in my family for generations. I can’t wait to get right into the patterns! Crochet through the ages!